There is no way back to anything resembling a united kingdom without some kind of sacrifice. Credit: Pixabay. CC0 Public Domain. The philosophical heart of Brexit is the unexamined relationship between democracy and the sacred. The crux of the UK’s problem is that there is something sacred about democracy but there is nothing democratic about the sacred; that’s why the first EU referendum is considered by many to be sacrosanct while a second risks being sacrilegious. What makes something sacred is not that it is religious or even that it is good, but that it represents a moral touchstone or boundary; something held to be fundamental and inviolable. We hold as sacred whatever we are deeply invested in to the extent that to lose it - family, flag, place, idea - would represent an existential threat to our identity and capacity to make meaning out of life. The sacred is not an ally to instrumental thinking but its antidote. Hard though it is for Remainers to understand, Brexit is sacred in precisely that way for many who voted to leave. At the core of our Brexit predicament is therefore an unresolved sense of dissonance. Two and a half years after the initial vote, in aggregate the country appears to feel both that we should not leave the EU and that we have to leave. This dissonance has taken hold because there has been no national consensus about what the result of the referendum meant in its fullest sense. 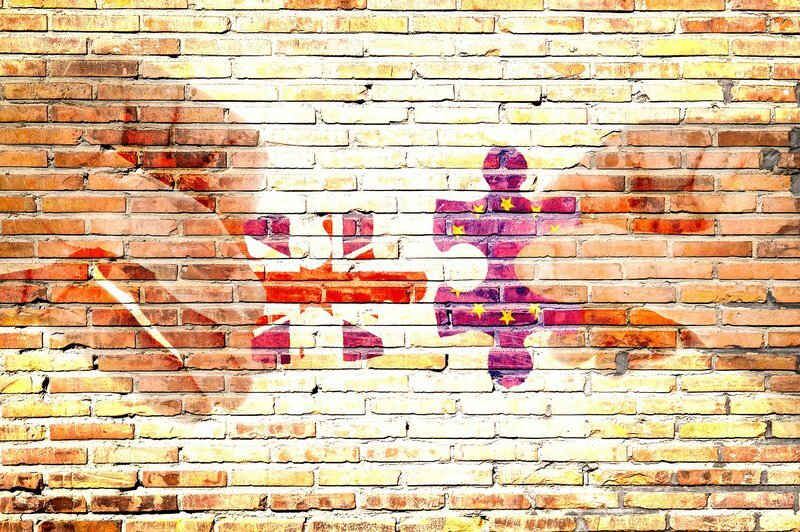 Back in June 2016, we needed a moment of collective reckoning, a wholehearted conversation about the causes and consequences of leaving the EU. Instead we had “Brexit means Brexit,” a series of unhelpful negotiating postures and political decisions, and an irresolute opposition; all of which manifests now in the lack of a parliamentary majority for a viable way forward. What makes Brexit so maddening is that two of democracy’s moral logics are talking past each other. The utilitarian logic is about avoiding or managing the negative consequences of Brexit; but the deontological logic (whatever is inherently right, regardless of the consequences) is about guarding the sanctity of the decision to leave, again regardless of the consequences. Another major moral logic, currently neglected but crucial for moving on from the impasse, is virtue development, the missing conversation about what it means to live well together. Alas, we are now spending billions of pounds preparing for a no deal Brexit that few want because there is no sense of shared purpose, and the language of consequences has no standing in matters that are perceived to be sacred. As pragmatism and principle go head to head, what looks superficially like a civil war between Leavers and Remainers is actually more like a decisive challenge to a barely coherent political system. Whether you think leaving the EU increases our sovereignty or diminishes it, democracy is a valid touchstone in this debate. Democracy is grounded in a principle of moral equality between citizens, manifest in our human rights within the rule of law, and made politically tangible through the principle of One Person One Vote where voting outcomes are respected. When Brexiteers speak of not leaving the EU in terms of ‘frustrating the will of the people’ or ‘betraying democracy’ it can sound shrill, but it is the violation of this principle of moral equality that they are invoking, even if their ultimate motivation may lie elsewhere. Democracy is the founding principle of our shared life together. If that shared touchstone goes, or is seen to have gone, everything else could go with it. What follows for what we should do now? We might find a way to stumble through without another referendum, but not without economic harm and continued cultural rancor. In light of our tangled moral logics there is a case for a resolutely cathartic approach. The deeper rationale for a new public vote is not just to ‘sort it out,’ but to subsume the toxic and divisive energy of the first referendum with a more transformative approach in the second. The details need careful attention, but the extension of Article 50 (notification of intention to leave the EU) needs to provide enough time to connect the new referendum process to a national conversation about all the issues that are implicated in Brexit; everything from social and economic policy to status, identity and constitutional change. As a sacrifice to Remainers, the new referendum should include those forsaken in the last one; EU nationals who have made the UK their home and 16-17 year olds, many of whom see the EU as part of their home too. That loads the dice heavily in favour of Remain. However, as a sacrifice to Leavers, we should set the bar for remaining in the EU much higher, requiring a simple majority in all four home nations and an overall UK supermajority of anywhere between 52% (eclipsing the 51.9% victory for Leave in 2016) to the highest supermajority bar required for constitutional change in some countries - 66.6%. Whatever figure is chosen should leave the outcome of the referendum in doubt, with a positive campaign to be fought and won. A vote lower than 40% for Remain could lead to a managed No Deal Brexit on WTO terms, and between 40-50% would be an acceptance of Theresa May’s negotiated deal. A further concession to Leave is that even if Remain won over 50% but less than the agreed supermajority, this would entail Leaving, but with the softest possible Brexit, pre-negotiated in outline with the EU and EFTA countries and detailed in a White Paper. It is a messy approach, but honestly and purposively so, because our problem is not primarily procedural in nature. The purpose of the supermajority requirement and expanded electorate is to neutralise the legitimate claim that another referendum would cause further division and be a betrayal of democracy. The resulting campaign cannot be about wishing away the first vote; it should focus on national renewal within a further-democratised transnational alliance, and it should be collaborative and inclusive by design. In the light of existing support for independence in Scotland and growing support for a United Ireland; and due to the socio-economic divisions and alienation between rulers and ruled that drove the original referendum result, there is no way back to anything resembling a united kingdom without some kind of sacrifice. The UK has been weakened both by the Brexit process and all currently conceivable outcomes, but sacrifice is precisely about the transition from weakness to power, in which, as Terry Eagleton puts it, self-dispossession is a condition for self-fulfillment. Asking for a second referendum in which we can only remain with a supermajority and leave even with a simple majority for Remain is a form of self-dispossession, but this has to be a genuine sacrifice for there to be a chance of fulfillment. The sacred has two faces. One is what Rene Girard calls the archaic sacred, in which someone or something is sacrificed to sustain the natural order and the cohesion of society. It comes at a cost, but mainly to an Other; in the extreme case it’s the expulsion or killing of a scapegoat, an action which is cathartic in restoring order and propitiating the gods. Arguably this is what happened with immigration on Brexit. However, a sacred approach that calls for self-sacrifice and self-giving in other ways has the potential to be healing. Clearly, moving towards these kinds of transformative ideas will require more political vision and capacity for sacrifice than is currently evident in British political life. Still, there is a dearth of good alternatives, and stranger things have happened. The current impasse might well lead to a second referendum with terms similar to the first, but that entails significant political risks (losing again due to strength of the betrayal narrative) and cultural risks (enduring divisions). We have learned that referendums often offer neither closure nor catharsis and it would be foolish to carry on regardless. Yet perhaps the real lesson is that we haven’t been doing public votes properly. Brexit was a wake-up call, and we need to stay awake, grow through crisis, and commit to reweaving the social fabric of the country as a whole. Whatever form it finally takes, any new referendum has to be more truly democratic than the one it seeks to subsume, and to be seen to be so. A longer and referenced version of this piece is available here.